What are the penalties in NJ for using a cell phone while driving? New Jersey has been concerned for years with distracted driving, so you can be pulled over and ticketed for using a hand-held phone while driving. “Use” is considered to be talking or listening on the phone, texting, or e-mailing. The penalty increases with each offense. The consequences are even more serious if there is an accident that arises out of your use of that cell phone. 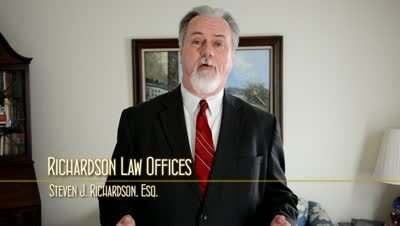 If someone is injured or killed, then you could be charged with an indictable crime (New Jersey's version of a felony), and you are much deeper trouble. If there is injury, then you would be charged with assault by auto. Serious injuries would result in penalties including up to 18 months in jail and a fine of up to $10,000. Lesser injuries would be up to six (6) months in jail and a fine of up to $1,000. In the case of death, you could be charged with vehicular homicide, which carries 5 to 10 years in jail and a fine of up to $150,000. Any distraction to driving should be avoided to prevent injury to yourself or others as a result of an accident. So What Should I Do If I Get a Ticket? If you have been charged with distracted driving in South Jersey, please feel free to call me at 856-432-4113 or contact me through this site to schedule a free consultation in my Woodbury office. What is “unsafe operation” in New Jersey? ?What Are the Penalties If I am Convicted of Reckless Driving in NJ? ?What is the SLAP Program in NJ, and How Can It Help Me Stay Out of Jail?